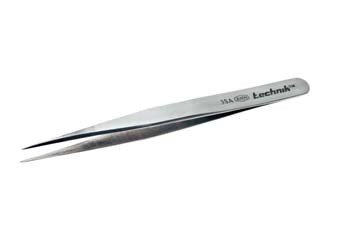 Pattern 3 extra long and narrow straight point tweezers. Provides extended reach and access to confined areas. Length: 4 7/8" (125mm) Stainless Steel Construction that is Anti-Magnetic and Anti-Acid.